Mad for maple? Then you'll love this list of maple candy recipes. From maple fudge to maple truffles and everything in between, there's a maple recipe here to suit your sweet tooth. Maple walnut fudge has a silky-smooth texture and a wonderful fall flavor from real maple syrup and crunchy toasted walnuts. Maple fondant acorns are cute balls of maple fondant formed into acorn shapes and decorated with a chocolate-and-nut acorn cap. The combination of sweet, creamy maple fondant, bittersweet chocolate, and salty nuts is irresistible. Maple Fondant is a smooth, creamy candy filling with a bold maple taste from real maple syrup. Try pairing this sweet fondant with dark chocolate and salted pistachios for a delicious fall treat. 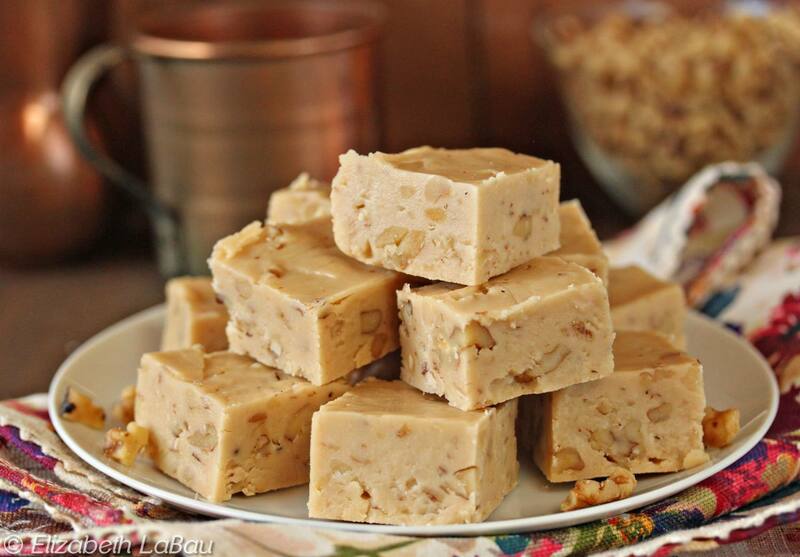 Maple syrup and toasted pecans make this smooth maple fudge taste like autumn! I sometimes like to chop the pecans very finely, so that they are speckled throughout the fudge, but you can leave them in larger chunks if you prefer. Maple extract gives these smooth, creamy maple creams their distinctive taste. They are delicious topped with nuts, or you can try dipping them in chocolate if you prefer. Maple leaves are made from pure maple syrup with a touch of butter. The result is a sweet candy with an intense maple flavor. If you're a true maple lover, I recommend using the darker Grade B syrup for a more robust maple taste.